Here's another small painting that I started yesterday. This photo shows a work in progress, acrylic paint on Aquaboard, 8 x 10 inches. This is the second painting I have done on Aquaboard, so this really is an exploration. 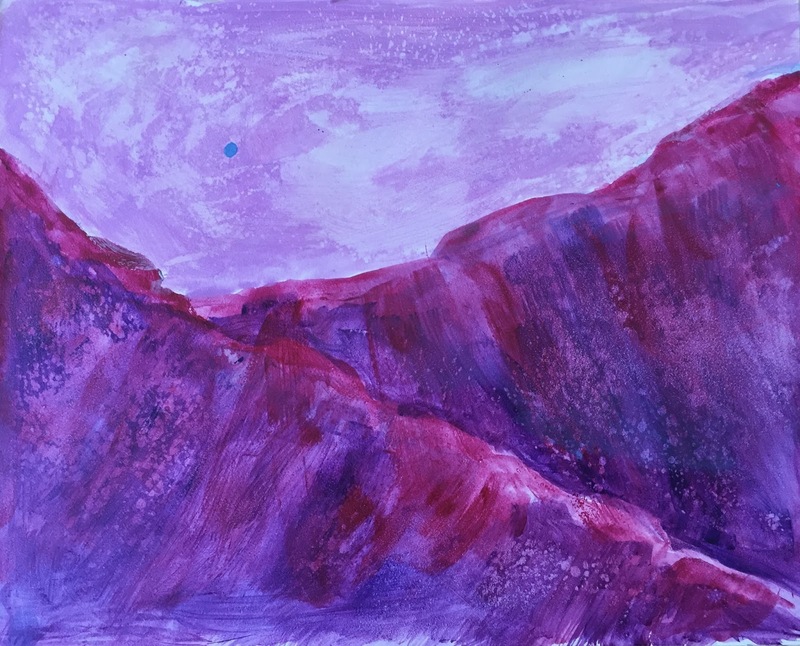 As with my other "Mountain Daydreams" paintings, I am working from my imagination and from my memories of Colorado. To be continued. . .